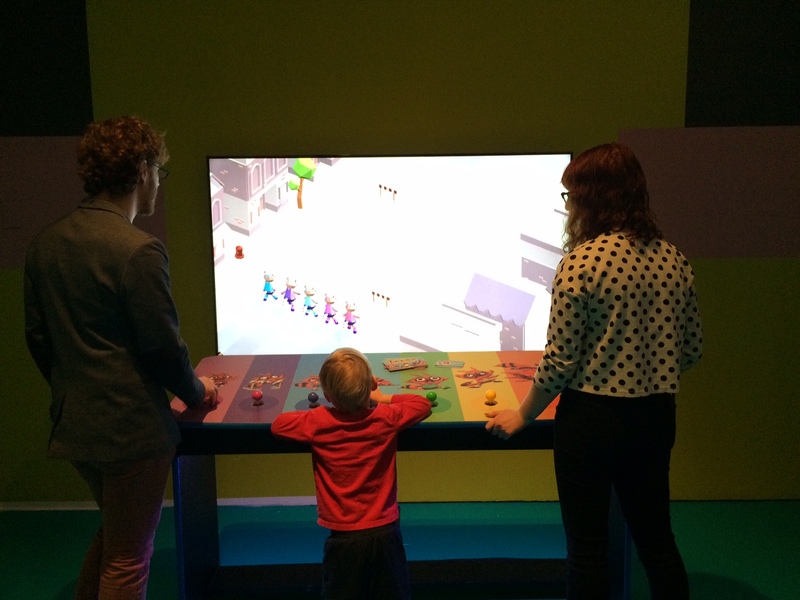 Why the whole family will love TIFF’s digiPlaySpace | Kids in T.O. We are not a gaming family. But oh boy you better believe my guys in TOw love a good video and app. 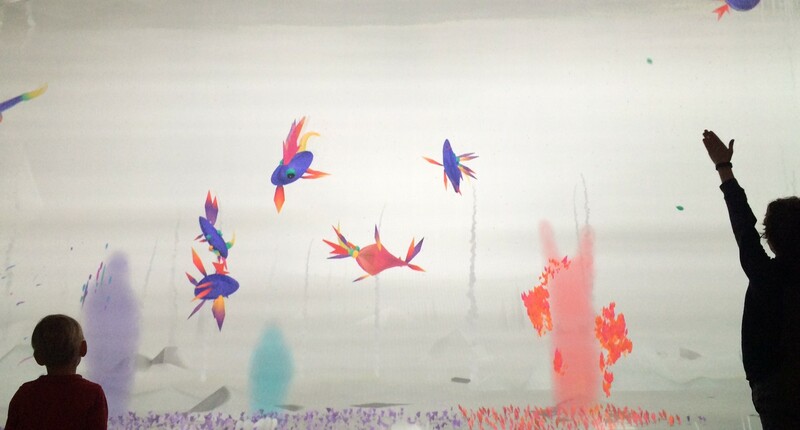 So once a year, I love to blow their minds by letting them explore TIFF’s digiPlaySpace, an interactive and educational digital playground on display until April 24, 2016. There is no denying, our little ones are fast becoming insanely media literate. So much so that it’s more than just teaching the ins and outs of the internet – it’s about engaging on and off screen. Here is where to do it. The 25 installations by Canadian and international artists get the whole family interacting, thinking and moving through the latest and most creative multi-player games, virtual reality, stop motion sports, green screens, robotics and circuit building. 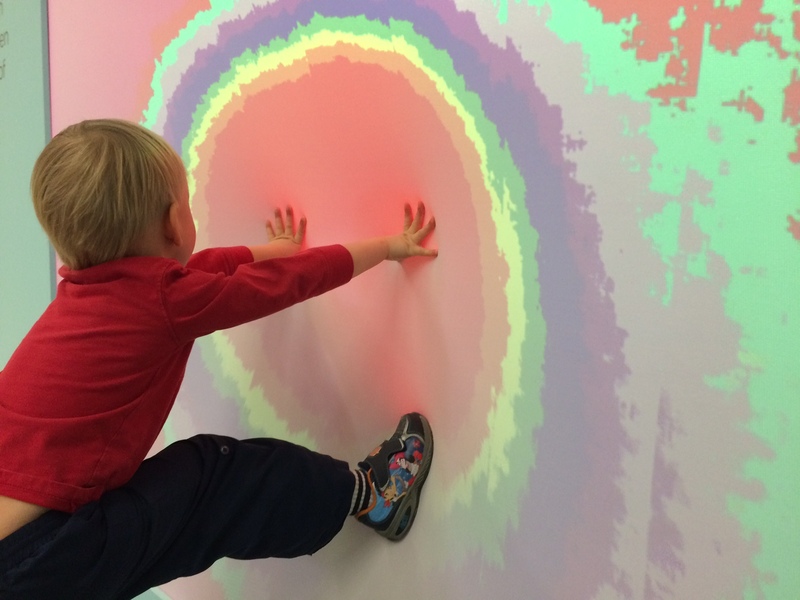 Preschooler in TOw: Loved jumping around in Elements watching his movements transform and come to life on a giant screen. Could have stayed all day racing with Digital Bird Playground and Trackroons. Mom in TOw: Had a kick lifting elephants in the stop-motion installation LOLympics. 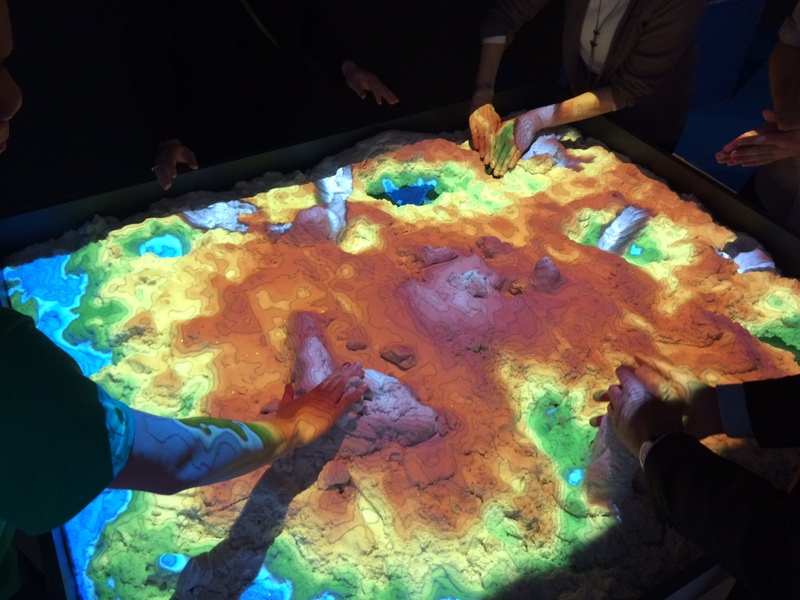 Would have aced geography in school with the Augmented Reality Sandbox. Dad in TOw: Hung out at the pinball machine Flippaper. Low-down: Admission is $10 for everyone young or old. Open 10 am to 6 pm on weekends – check the calendar for weekday day hours. On until April 24, 2016. Down-time: For sure take some time at the end to play in the APPcade. There are 30 apps, grouped for various age groups. 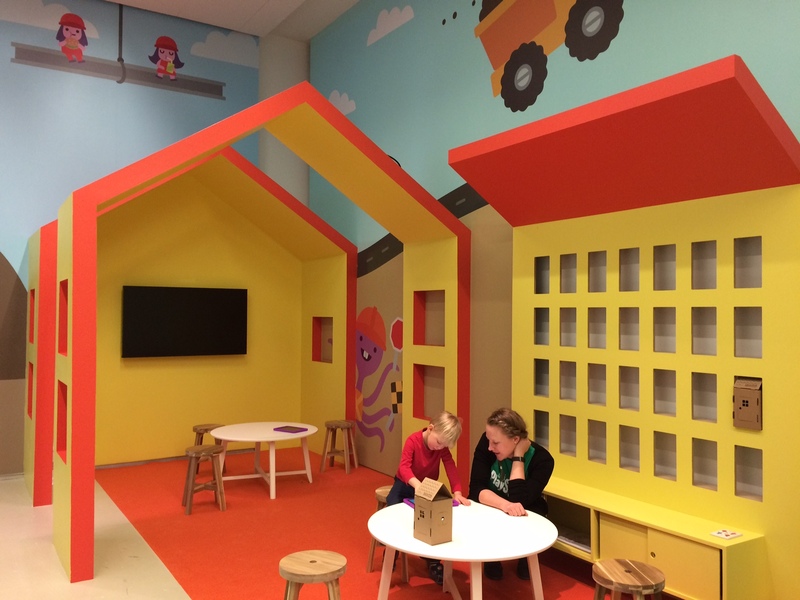 It’s a cool space inspired by Toronto’s Sago Mini‘s newest construction app for kids. Plus you can do some crafting with their build-your-own-house activity. Be sure to explore the Sensory Imaging. The fabric screen engages children, including those with sensory processing disorders, in sensory exploration. Food: CANTEEN at TIFF has dine-in and grab & go items. Lots of restaurants on King St. West. In the hood: South you’ll find the CN Tower and Ripley’s Aquarium of Canada. En route to these attractions is the CBC building on John St. Its Museum is open weekdays 9 am to 5 pm and is free.